SAGE India Digest: Indian Media in a Globalised World! India is a country with the world’s largest newspaper market, second largest telecommunications market, third-largest television market, and second-largest Facebook community but even today it is virtually absent from most mainstream global communication studies within academia. In revenue terms, India’s share of the global media sector still remains small but within the top 15 media and entertainment economies, only India has had consistent growth rates for years. 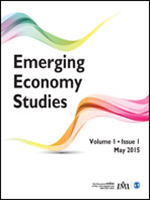 An article in the Journal of Emerging Economy Studies concentrates on Indian media and its future directions and how it acts as a significant lever of society offering an unparalleled view into the daily theater of India. Combined with the rise of the other device that has grown faster than toilets in India—the mobile phone—television has fundamentally reshaped Indian democracy and emerged as a critical social lever. Within the top 15 media and entertainment economies, however, only India has had consistent over 15 percent growth rates for years. This is why there is such a global interest in Indian media at the moment with companies like Disney and Viacom flocking to Indian shores. In subsectors like the newspaper industry, the contrast is even more strident. India, along with China, is the country in the world where newspaper subscriptions continue to grow. At a time when newspapers around the world are dying, over a 100 million newspaper copies hit Indian streets every morning; this number clearly illustrates the size and scope of Indian media. Media touches virtually everyone in Indian society, but in the din of daily headlines, it is important to delineate some fundamental questions—Who really owns Indian television? What are the patterns of control nationally and across regional languages? Are there any commonalities across languages and regions? Can we discern underlying trends that drive the business and what are the politics? These questions that are at the heart of the debate about modern media, the article seeks to answer them. I am commenting to enable you to really know what a good experience my little princess enjoyed studying your website. She noticed a multitude of portions, with the addition of what it is similar to with an awesome being able to help style to really have the rest without trouble understanding some grueling concerns.